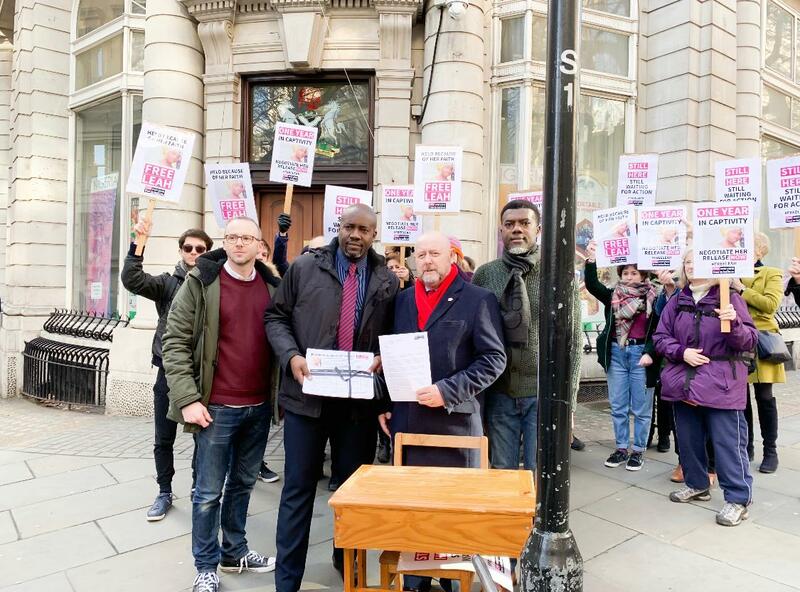 Protest is ongoing at the Nigeria’s High Commission in London to mark a year of Leah Sharibu’s Abduction. 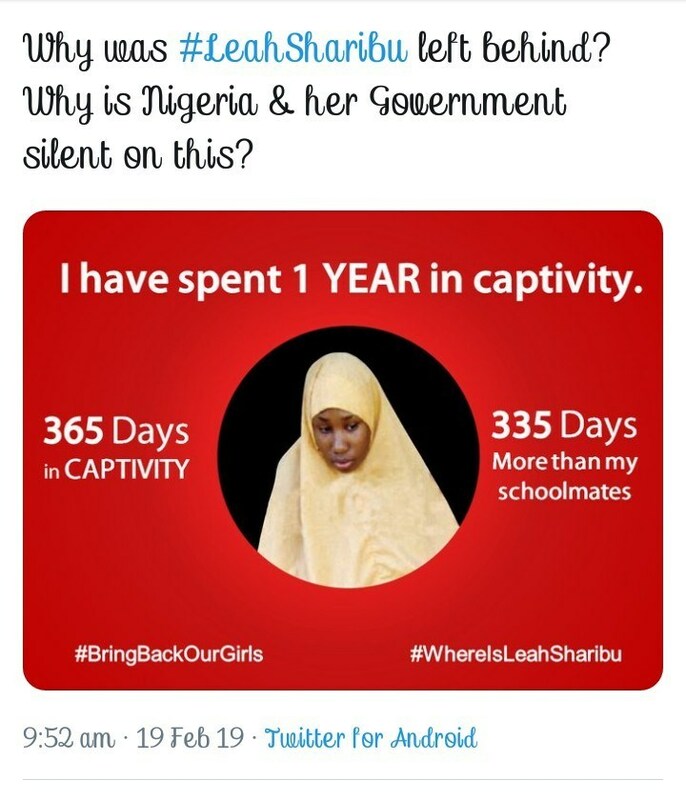 Back in Nigeria, the Bring Back our Girls (BBOG) movement has also been tweeting to remind the government of its untoward disposition towards the return efforts of Miss Sharibu as today, Tuesday, marks her 365 days in her kidnappers’ custody. 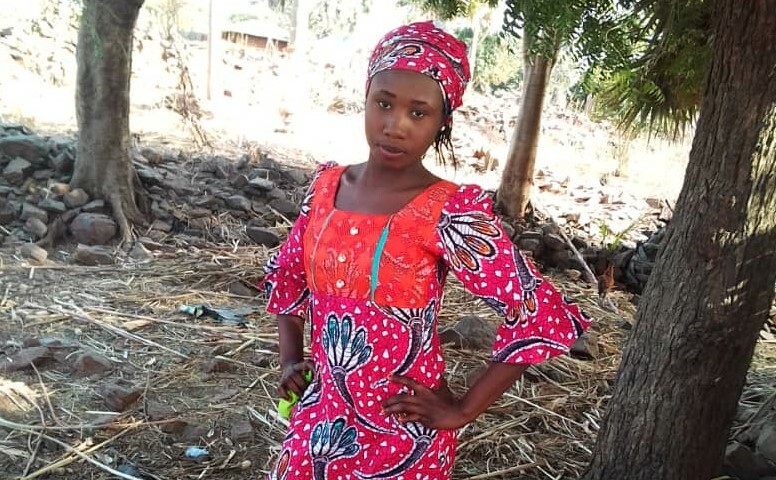 Sharibu was abducted alongside 109 other girls from their secondary school in Dapchi, Yobe State, on February 19, 2018. 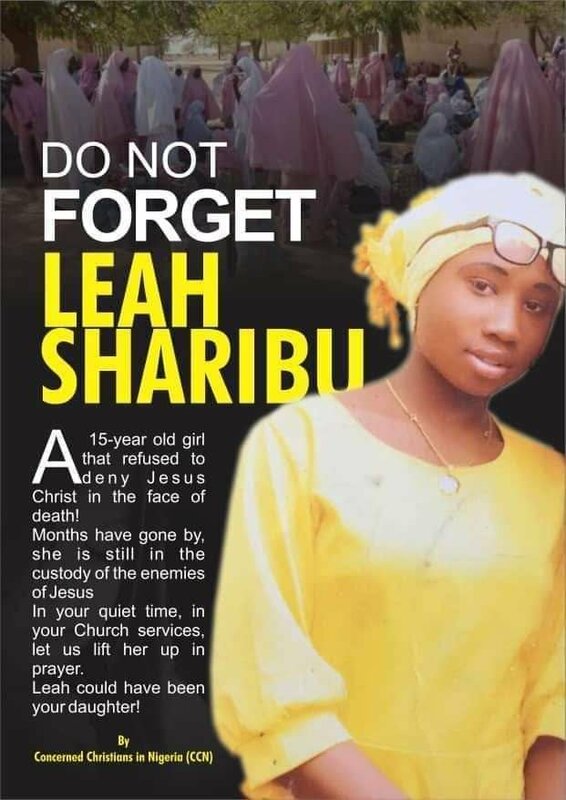 While most of the girls were released, Sharibu has was denied freedom after refusing to renounce her Christian faith for Islam. 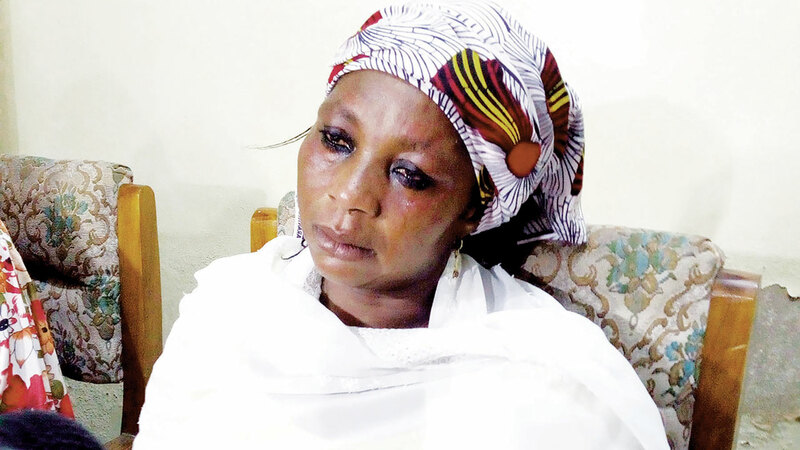 She has been in the custody of the terror group despite repeated pledges by President Muhammadu Buhari and the federal government to ensure her freedom. Taking to its Twitter handle on Tuesday, the Bring Back our Girls (BBOG) movement wrote that Miss Sharibu is 365 days in captivity. 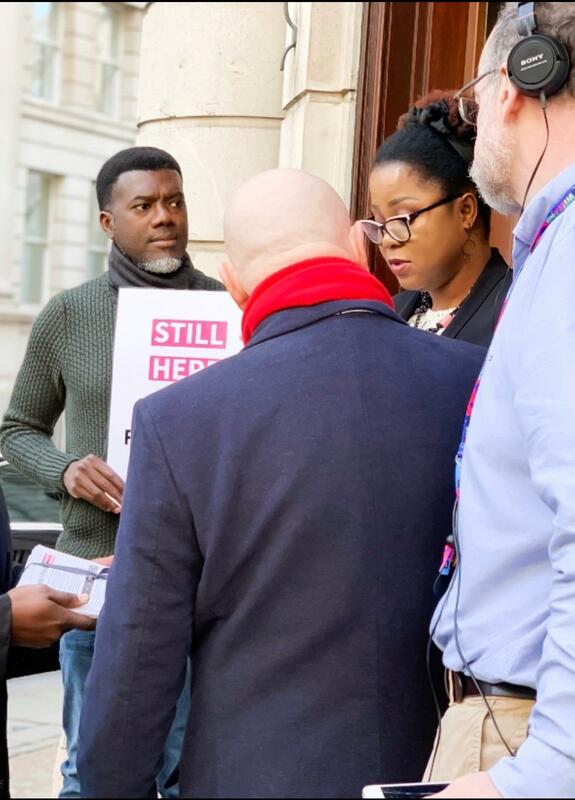 The group asked why Miss Sharibu was left behind in the hands of her abductors. 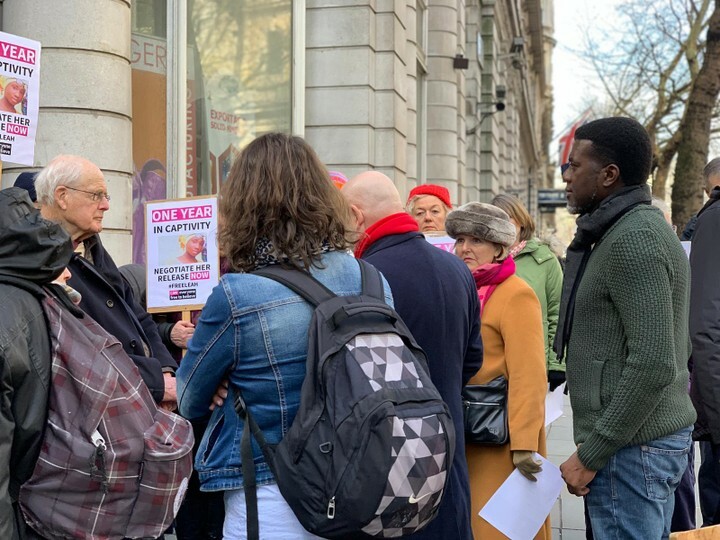 The group further questioned why Nigerians and the government are quiet about Miss Sharibu. Four days after their abduction last year, President Buhari had promised to ensure the safe return of all the abducted students. Four of the kidnapped girls were reported to have died at the hands of their captors, who entered freely into Dapchi town on March 21 to return the freed girls. In a statement shortly after their release, Mr Buhari pledged to ensure that “the lone girl was not abandoned”. Three days after the release of the 105 Dapchi girls, the then Inspected-General of Police, Ibrahim Idris, was quoted as saying Miss Sharibu may be released by her abductors. Mr Idris, however, explained his stance when the girl was not returned. The same terror organisation had abducted 276 girls in April, 2014 at a boarding school in Chibok, Borno State, during the administration of former President Goodluck Jonathan. About 57 of the girls were later reported to have escaped while 107 girls have so far been freed by the group, leaving 112 of the girls still held captive. 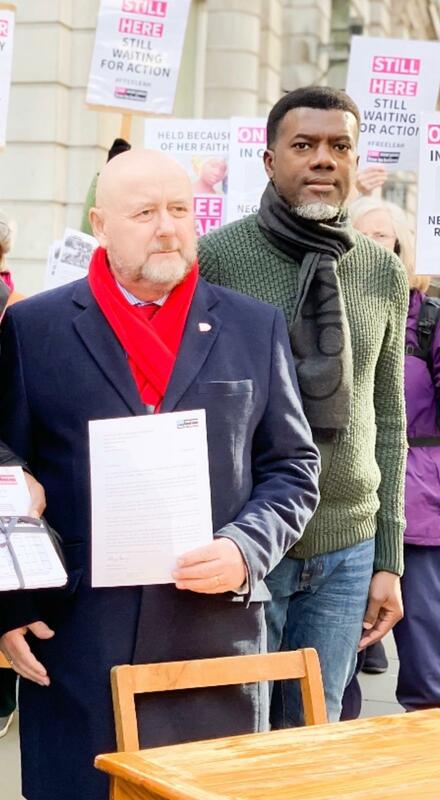 Yet one year after the negotiated return of the Dapchi girls, neither the federal government nor its security agencies have succeeded in ensuring the safe return of Miss Sharibu.